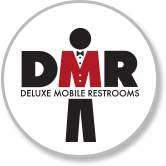 Reserve Your DELUXE MOBILE Restroom Today! We deliver to the following counties: Island, Skagit, King, Snohomish, Pierce, and Whatcom. Mobilization/Demobilization charge average is $75 to $175. If your outside that area, delivery may be available at $1.25 per total mile for pickup and delivery. Restroom trailer rental service area includes: Aberdeen, Acme, Alger, Anacortes, Arlington, Auburn, Bayview, Bellevue, Bellingham, Big Lake, Birdsview, Blaine, Bothell, Bow, Brier, Bremerton, Burien, Burlington, Camano Island, Carnation, Cashmere, Clear Lake, Clinton, Concrete, Conway, Coupeville, Custer, Darrington, Day Creek, Deming, Des Moines, Duvall, Eastsound, Edison, Edmonds, Enumclaw, Everett, Everson, Fall City, Federal Way, Ferndale, Fife, Freeland, Friday Harbor, Gig Harbor, Glacier, Goldbar, Granite Falls, Greenbank, Guemes Island, Hadlock, Hamilton, Index, Issaquah, Kent, Kingston, Kirkland, Lacey, La Conner, Lakewood, Lake Stevens, Langley, Lopez Island, Lummi Island, Lyman, Lynden, Lynnwood, Maple Falls, Maple Valley, Marblemount, Marysville, Mercer Island, Mill Creek, Monroe, Mount Vernon, Mountlake Terrace, Mukilteo, Newhalem, Nooksack, North Bend, Oak Harbor, Orcas Island, Oso, Port Angeles, Port Orchard, Port Townsend, Poulsbo, Puyallup, Redmond, Renton, Roche Harbor, Rockport, SeaTac Sammamish, Samish Island, Seattle, Sedro Woolley, Semiahmoo, Sequim, Shelton, Silverdale, Smokey Point, Snoqualmie, Snohomish, Stanwood, Startup, Sultan, Sumas, Tacoma, Totem Lake, Tukwila, Twisp, Winthrop, Woodinville, and the rest of Washington, Idaho, and Oregon. Deluxe Restroom trailer rentals come with paper toilet seat covers and "Thanks A Mint" mints on the counter. 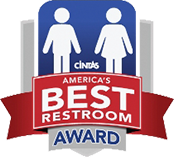 © 2019 Deluxe Mobile Restrooms. All rights reserved.